If you search for the definition of Change you will find that it is the act or instance of making or becoming different or the substitution of one thing for another. For example, a change of venue. Some synonyms are exchange, substitution, swap, switch, changeover, replacement. When searching for Evolve it showed me that it means develop gradually, especially from a simple to a more complex form. For example, the company has evolved into a major chemical manufacturer. Some synonyms are develop, mature, advance, grow, transform. It seems to me that change is almost instantaneous and evolving is progression. I would go further to say that change is temporary and evolving is permanent. You could leave home thinking you want chinese and quickly change your mind several times and end up with mexican. You could go to sleep wanting to wear a certain outfit and change your mind when you wake up. You can change the shoes you’re wearing. You can change you’re entire look. You can change your attitude from day to day. But with change you can always go back to the way things were before the change. Change is something that can have an instant effect on your life, however, it is your choice on how you deal with that effect. Change appears to be what you can try an reflect on the outside but Evolving comes from within. Evolving, to me, seems like a process. When you chose to evolve, you’re chosing to never turn back. Evolving can even be the aftermath of change. Evolving could also be compared to learning. I like to relate it to development and growth. I’m sure that as I go through this journey there will some people to tell me how much I’ve changed but I will forever be the same ole’ Krissy. There was just a change of events that caused me to evolve into a more complex version of myself. Most people are so afraid of change. They’re scared that it will either make people look at them differently or they won’t be accepted. They’re scared of failing or actually succeeding at something. You become comfortable but you can’t get comfortable because what we fail to realize is that change is going to happen regardless but your path of evolution is a choice. People allow changes to have a negative impact on their lives. They allow it to give them a reason to hurt people or become addicted to a vice or to give up on life and settle for what is in front of them instead of the vision ahead. I want the changes I’ve encountered to have a positive impact on me. There was a point where I felt that it must be meant for me to just be a failure or have bad things happen to me and I even find myself feeling like this now but that is why I started this blog. I want to encourage myself to see the positives and learn from them. A change has occurred and I’m ready for my Evolution….AND I’M NOT TURNING BACK!!!!!!! 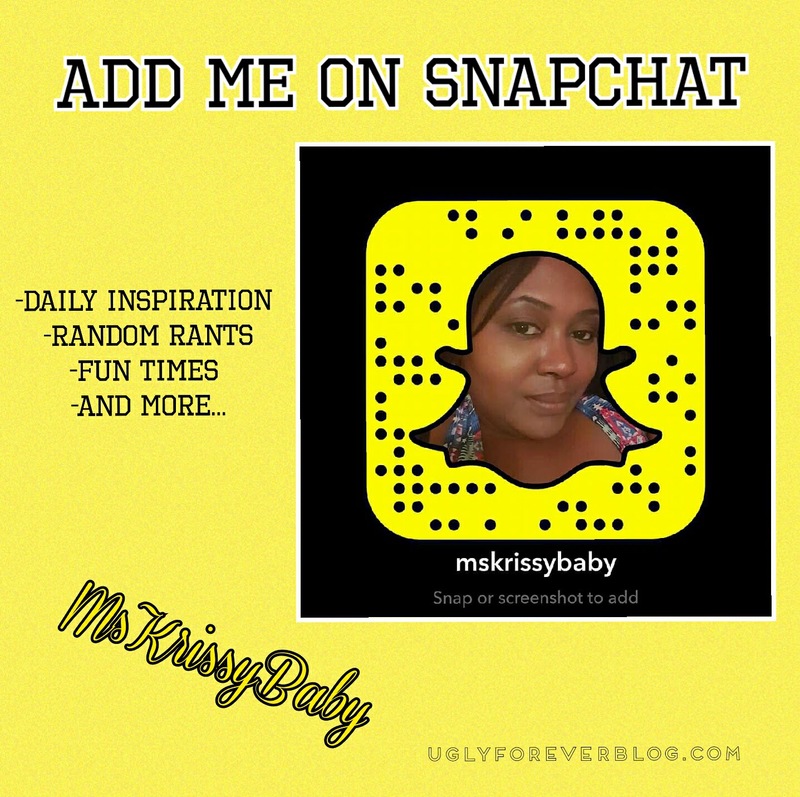 Posted in Feel It Fridays - Random Posts, Love Yourself from Inside Out.Tagged Achieve Your Goals, Changing, Evolving, Follow Your Dreams, Love Yourself, Motivational, Self Esteem, Self Love, UGLYForever. Next Post I HATE MONDAYS!!!!!! !